If you’ve listened to the podcast for any length of time, I don’t shy away from the topic of my own bouts with anxiety and depression. Over the years, I’ve come to grips with the fact that opening up about my struggles in this area has brought an immense amount of healing and recovery. Directly related to this is a newfound desire for prayer to the Lord who has redeemed me and rescued all of me, including my mind, from the pit of darkness. But what I’ve also noticed is that in regards to topics of anxiety, or mental illness in general, the church as a whole has a difficult time talking about it. Whether fellow believers are ignorant of the subject, or downright ignore it entirely by stating it isn’t real, it’s hard for the Christians who do wrestle with weeds of the mind to discuss it. While churches are shying away from the subject, video game developers are embracing it. Take Ninja Theory’s Hellblade: Senua’s Sacrifice for example. 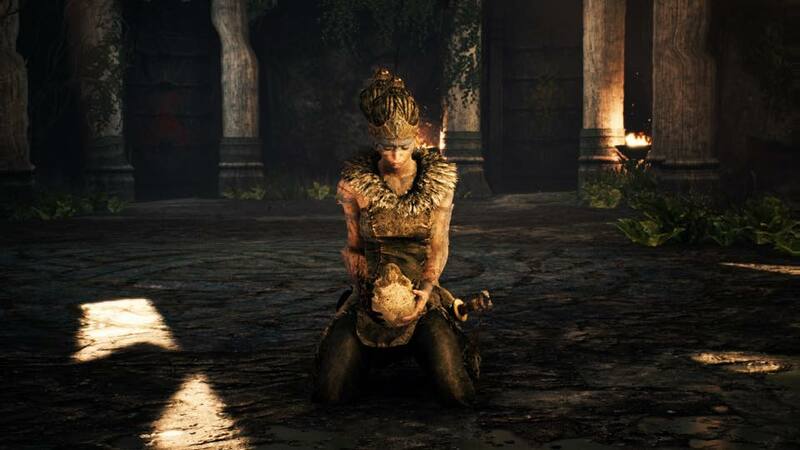 In the game, you play as Senua, a Celtic warrior journeying into the bowels of darkness to save the soul of her loved one, Dillion, while fighting against the dark rot that threatens to devour her mind, body, and soul. It’s a nightmarish experience as the game puts you in Senua’s mind and, if you’re playing with headphones, you hear the voices in her mind whisper encouragement, warnings, or hurl insults. On top of this, the player sees what Senua sees and is often left pondering what is real and what isn’t. Check out Ninja Theory’s Developer Diaries on Hellblade. When I finished playing Hellblade: Senua’s Sacrifice, and watched the documentary included in the game, I found new respect and admiration for Ninja Theory. The level of detail and care that went into making the game is intricate as they brought in a group of people who struggle with varying degrees of mental illness, along with several psychiatrists in the field, to consult on the game. What the player is left with is a visceral and authentic portrayal of a character with psychosis. I walked away from the game enlightened and more empathetic towards those whose battles of the mind are far more severe than my own. Another game that doesn’t shy away from the topic is Celeste, a critically-acclaimed indie darling that released earlier this year. Celeste follows Madeline, a woman determined to climb Mount Celeste for reasons unknown to her. Along the way, her journey becomes more perilous as she begins battling herself, ghosts, harsh weather, and some incredibly tight platforming. What makes Celeste so visceral is Madeline’s bouts with depression and panic attacks, both of which have an impact on the gameplay. As Madeline becomes more distressed, the landscape around her starts to morph, twist, and become more nightmarish. Her other self shows up at just the right times to cause havoc for Madeline. With each new level comes with it’s own set of challenges, or obstacles, for Madeline to overcome and triumph. I distinctly recall a conversation Madeline has with another character in Chapter 6, titled “Reflections”. The other character asks Madeline what it feels like to experience depression and panic attacks. Madeline responds, after she trepidatiously searches for the words, “It’s like being concealed but exposed at the same time”. It as at this point that, as someone who also has some rough panic attacks and bouts of depression, I just sat on my couch, controller in my hand, and tears in my eyes. That’s exactly it, I thought. As I began to mull over my time with Celeste so far, I started noticing little details that show Madeline’s struggle, mentally. I can’t go into too much detail without spoilers. 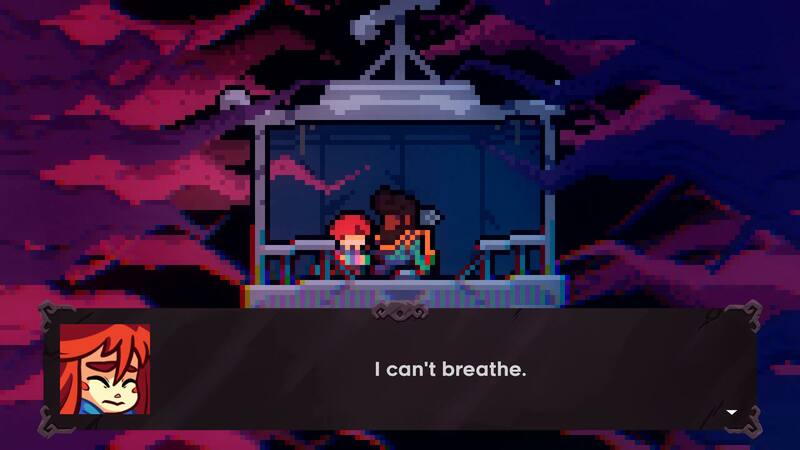 But the writing in Celeste, and it’s portrayals of panic attacks, is top-notch. While churches are shying away from the subject, video game developers are embracing it. I’m honestly encouraged by this newfound interest in depicting these kinds of mental struggles in video games. It’s been fascinating to see the creative ways developers are giving gamers the opportunity to experience something that, for some, is a reality. It’s exciting to look at these games and wonder how other studios will handle this subject in future projects. As Christians, I believe it’s important for us to learn and grow through understanding what people in our societies wrestle with. In so doing, we gain a deeper understanding of not only the people we minister to, but also a deeper understanding of how the Gospel works even in unknown territory. If you have a system to play either one of these games, I highly recommend them both. Hellblade: Senua’s Sacrifice is available for PS4 and PC. Celeste is available for PS4, Xbox One, PC, and Nintendo Switch.